If you want to join it, please click here. Some may already be redeemed but try some others if so! Grab them while you can! (Anyone making multiple accounts will be permanently banned and another invite code will be generated). This week I have wonderful news. I want to share with you all a few very helpful tools if you are trading or investing in cryptocurrencies. The first instrument is Cryptonaire. They are cryptocurrency research investment firm. You can track Top picks of the week and month also long-term picks or peoples picks. One of the most helpful tools for speculation and short term investment is crypto-trading calendar. You can follow upcoming updates or events in cryptocurrency world connected with particular project and make your decision if you feel safe to make some bids. Have you ever heard of Crypto Trade Academy? If not, you should follow the team on Twitter. Team is based in Slovenia and they are providing very helpful information. It helps you to stay on track, follow the latest news and movements in crypto market. They are truly trade enthusiasts, opportunity hunters and developers of crypto trading strategies. Thirdly, I would like to share with you information about 2 cryptocurrency exchanges you should familiarise with. TuxExchange is very friendly Canadian based cryptocurrency exchange named after cute kitty. What is the most important thing, unlike other exchanges, TuxExchange is charging you 0% fees! Liqui is another quite new cryptocurrency exchange. Here you can trade hot coins you are not able to buy in other exchanges. For example, Golem tokens, ROUND and many others. That is the news of this week. If you like it, you can give a small donation to support the project. I will back again with other exciting news next time. p.s. I would be very grateful if you can click on advertisement by Cbeckads (right up side). Partnership with blockchain technology leader FactomSmartrac’s proprietary IoT platform Smart Cosmos utilizes Factom’s data integrity solutions to encrypt, record, and secure Smart Cosmos entries into its public blockchain. The Factom integration is key to dLoc’s superior security. Once the hash value is created, the value itself and every verification (read) process is recorded in Smart Cosmos and the Factom Blockchain. “DLoc is the first practical document authentication system that utilizes the Factom blockchain to bridge the data integrity gap between the physical and digital world,” said Factom Vice President of Business Development Abhi Dobhal. If you haven't heard about GameCredits, now is a perfect time to jump a train. Generally speaking, GameCredits is creating a new payment gateway for the gaming industry. They are providing seamless, easy and secure payment solutions for the gaming indutry. By the Q1 of 2017, GameCredits will be used in 1000's of games through the new payment solution. 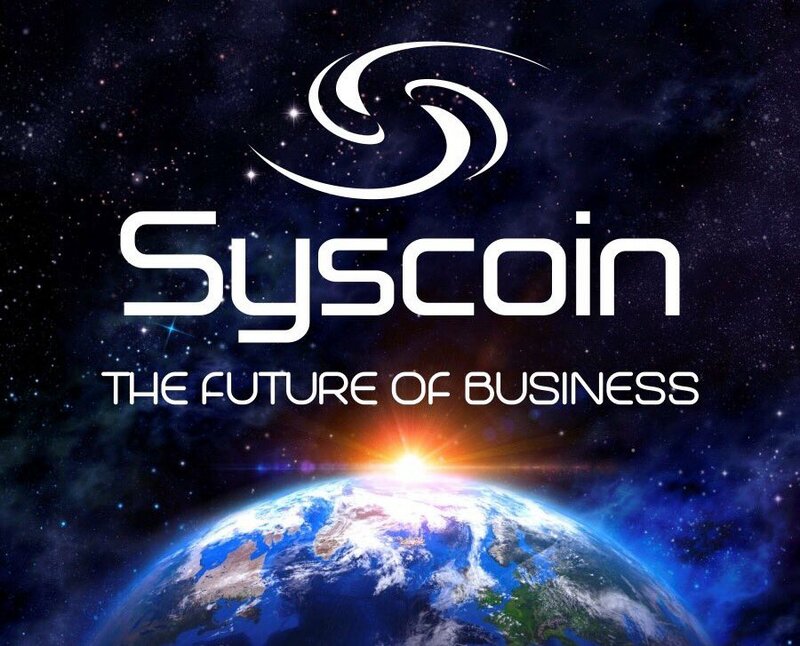 Syscoin team just announced that they are releasing Syscoin 2.1 on December 18th, 2016 by or before midnight US/PST. Syscoin 2.1 will have support for direct ZCash (ZEC) payments in the same way that Syscoin 2.0 has support for direct Bitcoin payments. Users will be able to purchase items by paying the appropriate peg-converted rate of ZCash directly to the seller’s designated Syscoin address. Once received the seller then confirms the funds are present on the ZCash blockchain/network and the transaction is then marked as completed on the Syscoin network. Because Syscoin addresses are compatible with ZCash Transparent addresses we can offer ZCash support with complete multisig support to allow for optional Syscoin escrow functionality. A merchant has the ability to select a combination of payment options from a list of SYS, BTC or ZEC. Once a buyer tries to buy the offer they will see the payment options available. Once they select ZEC, a Transparent ZCash address will be generated which uses the same private key as the merchant’s Syscoin address. The buyer would pay from a private ZCash address to preserve anonymity and the seller would import their private key (at a random time in the future) into their ZCash wallet to claim their funds, and send those funds into an input of a JoinSplit transaction to store them in a private ZCash address, creating a JoinSplit sandwich. The JoinSplit sandwich can be summarized as follows z-addr -> P2SH t-addr -> z-addr which provides the maximum amount of privacy with multisig support. All signing of ZCash transactions within the Syscoin escrow service happens on the Syscoin network and is posted onto the ZCash network upon escrow completion. This offers great usability within a trustless and decentralized payment design. More details to come on privacy preserving payments within the Syscoin marketplace on our upcoming Syscoin 2 whitepaper upon release of 2.1 core.